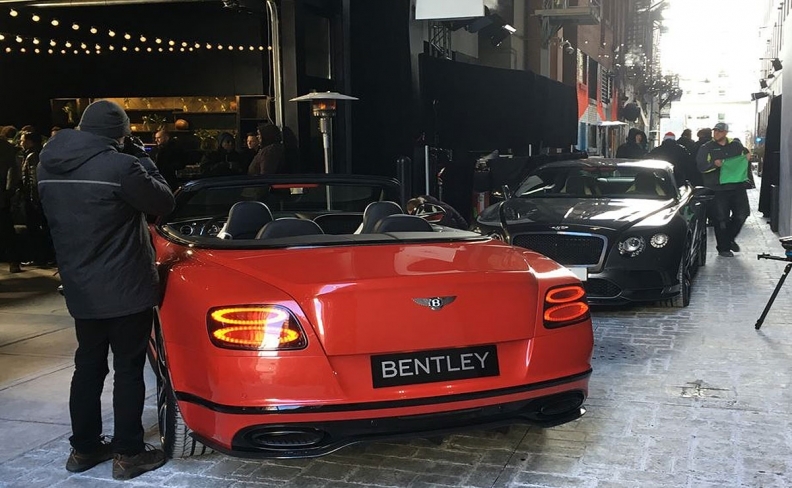 Bentley had both variants of the Continental Supersports on hand at a media event in Detroit on Sunday ahead of the Detroit auto show. Bentley’s latest addition to its revered Supersports nameplate is the automaker’s fastest production vehicle yet. The 2017 Bentley Continental Supersports builds off of the 2009 Supersports model and adds even more power. Available either as a coupe or convertible, the Continental Supersports is powered by a redeveloped 6.0-liter W12 engine that produces 700 hp and 750 pounds-feet of torque and is matched with an eight-speed automatic transmission. The increase of 79 hp and 160 pounds-feet of torque makes it the most powerful Bentley yet, the automaker said. The power increases reflect a new torque convertor, newly designed turbochargers and a revised charge-air cooling system, Bentley noted. The coupe can hit 60 mph (97 kph) in 3.4 seconds while the convertible is just behind at 3.7 seconds. The coupe tops out at 209 mph and the convertible can reach 205 mph. Bentley had both variants on hand at a media event in Detroit on Sunday ahead of the Detroit auto show. Bentley said 250 Continental SS cars will be made available in the U.S. beginning in the third quarter. The coupe starts at $293,300 while the convertible starts at $322,600. Neither price includes shipping. Both variants received new front- and rear- bumper designs with a carbon-fiber splitter and diffuser, new side-sill extensions, gloss black front wing vents and hood vents finished in carbon fiber. The Supersports rides on 21-inch forged wheels. An X Specification pack will be available which consists of eight unique duo-tone paint treatments and carbon-fiber heel plates and mirrors. Inside, Bentley added a tri-tone interior, a first for the current generation Continental GT. A diamond-quilted design was incorporated in the seats and door side panels.